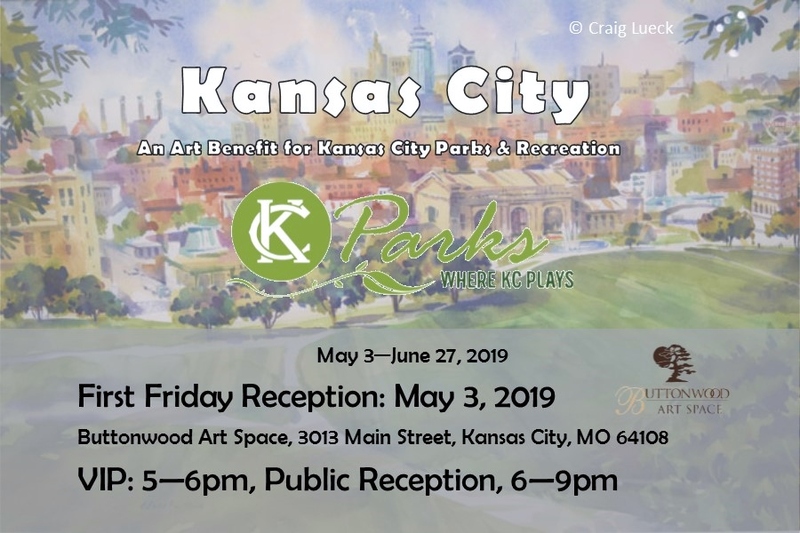 Buttonwood Art Space and KC Parks are excited to partner for this special exhibition featuring works of Kansas City’s beautiful parks and cityscapes! The exhibition kicks-off with a May First Friday Opening Reception and will hang through June 27, 2019. While Plein Air KC is not taking place this year, we will still host an exhibition featuring the wonderful works artists create of our beautiful city and it’s parks in May & June! Plein Air artists are encouraged to get out and PAINT! We hope to see several new works in this show. Artworks may include paintings, photographs, 3D pieces and much more! This show is open to all artists and mediums. For a nominal $10 entry fee, artists will compete for over $1,000 in awards! Best of Show, 1st Place, 2nd Place and 3rd Place. ARTISTS, submit your artwork today! May-June are great months for art sales, especially of Kansas City! We hope you will create new artwork and submit your favorite pieces of Kansas City. Click on “Artist Profile” and fill out your information. Then you will receive an email with detailed instructions on how to submit for the show! Please email Macy@ButtonwoodArtSpace.com with any questions or for assistance!